Former Hour Record holder Matthias Brändle admitted he had doubts about his form ahead of powering to win this afternoon’s final Tour of Oman stage along the Matrah Corniche. 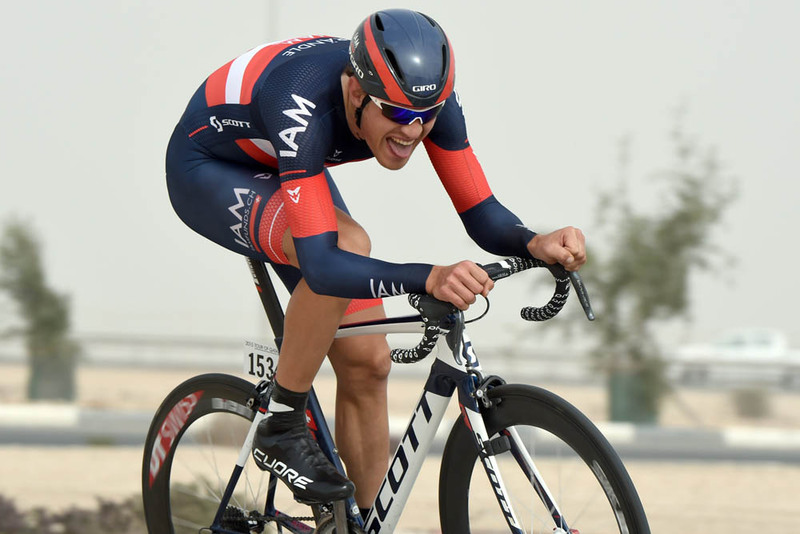 Brändle (IAM Cycling) attacked from a four-rider breakaway in the final three kilometres, and successfully pursuited to the finish to hold off Iljo Keisse (Etixx-Quick Step). “Today was important for me – the last six or seven days, I was questioning myself because my body was not working,” he said. “I had good feelings at home in training, but the last stages were hard. I couldn’t put any power through the pedals. Brändle said he realised the group would stay away when it entered the final 50 kilometres with an advantage of nine minutes over a nonplussed peloton, but the presence of Keisse in the group meant he did not want to take his chances in a sprint finish. The 25-year-old Austrian rider compared his victory here to the two he took on consecutive days in last year’s Tour of Britain into Exeter and Hemel Hempstead. He said: “In the breakaway, the feeling was the same as it was in Britain: we had strong riders, we worked together.